And there’s a chance to see the console’s UI – as for now, we haven’t been able to see too much of it. 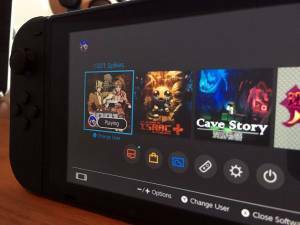 We already knew that The Binding of Isaac: Afterbirth+ will be available on Nintendo Switch. Now it was confirmed by Nicalis, Inc., game’s publisher, that both 1001 Spikes and Cave Story are scheduled to release on Nintendo’s newest console.